Show One Productions, the leading presenter of high-profile international stars of opera, theatre, dance and classical music, is very proud to present the Canadian premiere of BRODSKY / BARYSHNIKOV for a strictly limited run at the intimate Winter Garden Theatre, January 24-27, 2018. BRODSKY / BARYSHNIKOV is a solo theatrical performance based on the poems of Nobel laureate Joseph Brodsky, performed by Mikhail Baryshnikov. 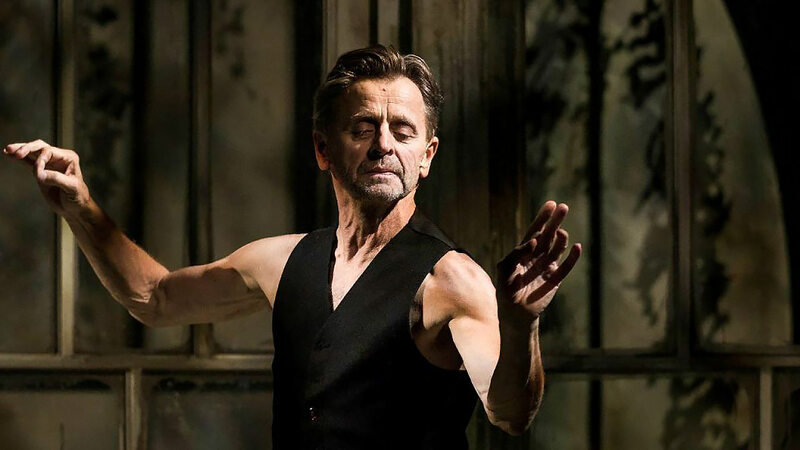 Conceived and directed by Alvis Hermanis, noted Latvian director of The New Riga Theatre, BRODSKY / BARYSHNIKOV is an emotional journey deep into the poet’s visceral and complex compositions. Performed in Russian, Brodsky’s mother tongue, Baryshnikov recites a selection of his long-time friend’s poignant and eloquent works. His subtle physicality transports the audience into Hermanis’ reverent imagining of Brodsky’s interior world. An intimate conversation, both meditative and contemplative, between two exiled artists that transcends mortality; the imagery of BRODSKY / BARYSHNIKOV is darkly radiant. While neither a dance piece nor a straight narrative, alone onstage Baryshnikov gives life to Brodsky’s verse and invites the viewer into the physical world that his poems elicit. Born 1948 in Riga, Latvia, Mikhail Baryshnikov is considered one of the greatest dancers of all time. After commencing a spectacular career with the Kirov Ballet in Leningrad, he came to the West in 1974, settling in New York City as principal dancer with American Ballet Theatre (ABT) after defecting from the USSR in Toronto. In 1979, he joined New York City Ballet, and one year later he was appointed artistic director of ABT. From 1990-2002, Mr. Baryshnikov was director and dancer of the White Oak Dance Project, a modern dance company he co-founded with choreographer Mark Morris. 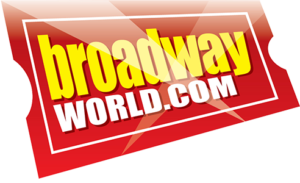 He has performed widely on-and off-Broadway, as well as in television and film, receiving a Tony Award nomination and a Drama Desk Award for Metamorphosis, and an Academy Award nomination for The Turning Point. In 2005, he launched Baryshnikov Arts Center (BAC) in New York City, a creative space for presenting and nurturing multidisciplinary artists from around the globe. He is also currently performing in another one-man show, Letter to a Man directed by Robert Wilson. Born in Leningrad, Russia on May 24, 1940, Joseph Brodsky began writing poetry as a teen. He was charged with “social parasitism” by the Soviet authorities, who sentenced him in 1964 to five years of labour. Exiled from his country in 1972, Brodsky eventually relocated to the U.S. as a poet in residence at the University of Michigan, won the Nobel Prize in 1987 for his “all-embracing authorship, imbued with clarity of thought and poetic intensity,” and served as poet laureate from 1991-1992. Born 1965 in Riga, Latvia, Alvis Hermanis was recently named among the ten most influential European theatre personalities of the last decade by DU Magazine, the prestigious Swiss periodical for arts and culture. Mr. Herman is has been artistic director of The New Riga Theatre since 1997, he has been staging operas at the Salzburger Festspiele since 2012, and his theatre productions have been presented at major theatre festivals ranging from Avignon to Edinburgh, and have toured to more than 40 countries. Recent opera productions include La Damnation de Faust featuring Jonas Kaufman with Opéra National de Paris in 2015; I due Foscari featuring Placido Domingo, and Madama Butterfly with Teatro alla Scala in Milan in 2016; and Parsifal at the Wiener Staatsoper in Vienna in 2017. Formed in 2004 by Svetlana Dvoretsky, Show One Productions is a full-service Production Company presenting concerts with high-profile classical musicians, opera stars, and orchestras, as well as great dance and theatre companies from around the world. 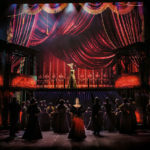 For the last 12+ years, Show One has presented hundreds of performances in Canada’s greatest theatres and concert halls, including many Canadian debuts such as last season’s blockbuster, Trio Magnifico – Ultimate Opera Gala with Anna Netrebko, Dmitri Hvorostovsky and Yusif Eyvazov; The Vakhtangov Theatre Company’s classic Uncle Vanya; several engagements with the Eifman Ballet of St. Petersburg; and John Malkovich starring as Casanova in The Giacomo Variations. Ticket prices range from $45-$150 and can be purchased online at showoneproductions.ca, by calling Ticketmaster at 1.855.599.9090, or in person at the Winter Garden Theatre Box Office, 189 Yonge Street, Toronto. For more information visit showoneproductions.ca or showoneproductions.ca/ru, and find them on Facebook: FB/ShowOneProductions, YouTuBe: YouTube/showoneproductions, and Twitter @ShowOneProd #ShowOneMisha. by Jamey Gambrell. BRODSKY / BARYSHNIKOV premiered at the New Riga Theatre, Riga, Latvia, October 15, 2015. BRODSKY / BARYSHNIKOV premiered in North America, presented by the Baryshnikov Arts Center in New York, at the Jerome Robbins Theater, March 9, 2016. BRODSKY / BARYSHNIKOV has toured to Israel in 2016 and to Serbia, London’s West End, Germany, Romania and Switzerland in 2017.